What's the Deal with Independent Educational Evaluations? The "IEE." Is it Wise To Secure an Independent Psychological Evaluation for Your Child? Psychological Evaluations, usually performed by a masters or doctoral level psychologist, are used in schools, mental health agencies and in hospitals to justify authorization of services, identify psychological disorders and determine a client’s cognitive abilities (e.g., their IQ). School Psychologists, for example, often perform psychological evaluations as part of a child’s IEP, especially if a student has a history of mental illness, poor academic performance, or behavioral issues. In contrast to a Comprehensive Clinical Assessment (CCA), which is usually a psycho-social assessment that lasts 1-2 hours and relies heavily on previous testing and self-report, psychological evaluations take several visits to complete and employ a variety of diagnostic tests, the purpose of which is to either confirm or deny the existence of a learning difference or mental disorder. Attention-Deficit Hyperactivity Disorder (ADHD) is an example of a common ailment for which psychological evaluations screen, though they can be customized to address a variety of situations and concerns. Children who struggle with either behavioral or academic issues are often assigned to the School Psychologist for such tests, as public schools in the United States are required to offer additional assistance to children with Learning Differences. While this law is intended to protect children, it also has a way of overwhelming school staff, as the definition of “learning difference” is so broad that in theory every child at a school could qualify for their own IEP. While School Psychologists no doubt do their best to perform a thorough evaluation for all students, the reality is that time is limited and often critical information simply gets missed. Fortunately, parents do have other options. Concerned parents certainly have the right to seek an independent psychological evaluation. This is no different than getting a second option on any other medical condition. The cost of such an evaluation may be an issue with many parents, but this can be discussed with insurance companies or handled with private pay. There are also certain situations where the district will fund your independent educational evaluation. This can include a wide variety of evaluations, not just psychological evaluations. You have rights under 34 C.F.R. 300.503 to obtain an independent educational evaluation of your child. To learn more about these rights, you may want to consider consulting with an attorney that specializes in education law. Parents who seek an independent evaluation can find psychologists employed in private practice or in private agencies, where their main role is to perform psychological evaluations for new clients. They tend to have smaller caseloads than their school counterparts and often have the ability and the time to customize evaluations in ways that School Psychologists cannot. Your insurance provider can usually refer you to a provider in your area. There are dozens, if not hundreds, of different tests that psychologist use to confirm mental health diagnosis. ADHD is a great example of a diagnosis that can benefit from a psychological evaluation. Children are usually diagnosed with ADHD based on diagnostic criteria from the DSM 5, which is the manual that clinicians use to determine if criteria for a mental disorder have been met. Symptoms of ADHD include hyperactivity, difficulty concentrating and impulsive behavior. That seems simple enough. However, there are several other mental disorders that look a lot like ADHD. Children with severe anxiety, for example, also have difficulty with concentration, hyperactivity and impulsive behavior. Trauma also looks exactly like ADHD in children as well, so the presence of symptoms is enough to make a diagnosis, but oftentimes the diagnosis is simply wrong. Clinicians treat ADHD in different ways than they do children who have experienced trauma, so an incorrect diagnosis can be at best counterproductive. Psychological evaluations, on the other hand, can employ a battery of tests specific to ADHD, or to PTSD, or to Generalized Anxiety Disorder, in effect ruling out one in favor of the other. Parents should have an open and continuing conversation with the psychologists about their concerns. Psychological evaluations can be blunt instruments, but with proper guidance and information from parents, psychologists can tailor their evaluation to meet each child’s individual needs. As there are many different types of assessments, psychologists really rely on authentic and comprehensive information from parents, but also active participation from the child. On a final note, parents who wish to determine their child’s IQ can certainly do so with a psychological evaluation, provided the child willingly participates in what are boring and drawn out activities. Often, the results of an IQ are either slewed or become impossible to validate because the child refuses to participate, intentionally sabotages himself, or simply does not try. Savvy psychologists realize this and are hesitant to complete the test if the child is not willing to participate. There is a silver lining to this, though, as a child’s refusal to take such a test can often be an indication of more clinically significant issues, such as test anxiety or even oppositional behavior. Psychological evaluations, when done correctly, provide invaluable insight into a child’s actual presenting concerns. CCAs, while useful diagnostic tools, often lead to a misdiagnosis, particularly with disorders that present in similar ways in children. While psychological evaluations are not immune to error, they do employ valid and reliable diagnostic assessments that can help parents and clinicians better understand the nature of their child’s issues. While a school psychologist is certainly capable of providing a psychological evaluation, independent psychologists tend to have more time and more resources which result in more thorough results. To see if your child may be a candidate for an independent evaluation, give Montgomery Law a call at 215-650-7563. MY CHILD CAN'T MAKE FRIENDS. HELP! In many ways, the ability to make friends is purely a function of personality. Extroverts, for example, draw their energy from interactions with others. They like to talk and interact and be heard, because extroverts draw their energy from those with whom they interact. On the flip side, you have introverts, who tend to be more quiet and reserved. It’s not that they prefer isolation, but they draw their strength from within and do not rely on others for stimulation the way extroverts do. The good news is that one personality type is not any better or worse than the other. This is especially true for adults, but for children the issue gets a bit murky. Extroverted children tend to be more sociable and therefore tend to have more friends. Introverted children, however, are not as naturally comfortable in social situations, so many times worried parents perceive a problem where in fact there is no problem at all. Some children are just shy, which is normal and certainly not cause for alarm. The truth of this statement is often lost on worried parents, who have in their minds a vision of what a well-adjusted child should look like in social situations. If a child is introverted, is it the parents’ responsibility to help them make friends? If it is, how do they go about doing that? If it isn’t, what should they be doing instead? The actual answer to these questions has more to do with understanding what a child actually needs in the first place. Consider the concept of sociability. Like personality or mental illness, sociability exists on a spectrum, where “0” is low functioning autistic and “100” is full blown psychopathic narcissism. One of the defining characteristics of autism is marked impairment in social situations. One of the defining characteristics of narcissism is the belief in a pre-ordained right to be the center of attention. As should be evident, this is not an either-or situation. Each and every one of us falls somewhere on that spectrum, hopefully somewhere near the middle, something that we might lazily describe as “normal.” But what is normal? More importantly, when should parents start to worry that their child’s behaviors are abnormal? The answer is: it depends. It depends on the child, their personality and what they want. If a child is an introvert and prefers to spend their time alone making sandcastles, that is not a defect of character or a sign of mental illness – that’s a normal, well-adjusted personality. Some kids play king of the mountain; some kids are content to dig in the sand. Parents often make things worse by trying to fix something that is not broken. Consider the following: Many years ago, two upper middle class parents took their eleven year old son to see a prominent child psychologist. The parents had tried everything to make their child more sociable. They figured that group lessons at the local country club would be just what the doctor ordered. Golf lessons, tennis lessons, dance lessons, swimming lessons – the list was exhaustive. To their surprise, their son would come home every day in tears, despite the gobs of money they were spending to make him happy. He was obviously miserable, but they didn’t know why. All the other children seemed to be having so much fun. Why was their boy so different? Exasperated, the boy’s parents brought him to the psychologist and explained their plight. After considering their story, the psychologist sat down with the boy and looked him in the eye. “Do you want to learn how to golf or to dance or to swim?” the psychologist asked. The boy shook his head no meekly. “Well, what do you want?” the psychologist questioned. The parents looked at one another with surprise. “What should we do?” the father asked the psychologist, confused. Parents often make the mistake of seeing their child as someone they should be, rather than as someone they actually are. Some kids will be king of the mountain. Some kids will play in the sand. And others will draw that scene for others to enjoy. It all comes down to personal choice, which is a construct of personality. We can no more change this than we can the color of our skin. If parents want to help their child make friends, they must first recognize that any attempt to do so must first start in the home. Parents cannot waltz into a school and appropriate friends, but they can teach their child the concepts of self-worth and value. Parents cannot prevent children from making “bad” friends, but they can instill in them a sense of morality. And parents cannot protect their children from the inevitable loss of childhood friends, but they can teach them self-confidence and esteem. If a child is comfortable within their own skin, there is no social situation they cannot handle. Our lives are the culmination of all the lessons we have learned, and the best strategy for parents is to ensure that our children feel empowered, confident and secure. This is the real way to help our children make friends. It also happens to be the best way to promote success in most every other aspect of their lives. However, with all of that being said, sometimes therapy is the appropriate remedy and evaluations may be necessary. You have a legal right to request that your school district complete an evaluation or, in certain situations, allow you the opportunity to obtain an independent evaluation that the district funds. To learn more about your legal rights when it comes to obtaining social / emotional supports for your child, give us a call at 215-650-7563. MY CHILD WON'T GO TO SCHOOL. HELP! It is fairly common for children to fear school. It’s also fairly common for parents to misunderstand the reasons why. Parents, generally speaking, are many years removed from the educational process and have moved on to worry about more pressing matters, like work and taxes and mortgages and relationships. For parents, it is easy to forget or even to romanticize the negative experiences they had in school. Time has a way of diluting and distorting memories. Adults also have fully developed cognitive abilities that are tempered by experience and wisdom. In short, adults have perspective. We are able to look back on childhood experiences through the lens of adulthood and see those experiences for what they actually are – moments in time that molded us into who we are today. 1. School can be a miserable experience for many children. Children are often anxious because they have very little control over their lives. In most cases, they have no say in which school they attend, which teachers they are assigned, when they get to eat or even when they get to use the bathroom. Imagine being in that situation. Many mental health issues stem from the feeling that we have no control in our lives. It may well be the dominant source of anxiety for us all. For children, they really do have no control and on some level they know this. High achieving students seem to accept this and even thrive in school settings, where structure and consistency and positive reinforcement in the form of grades and feedback from teachers provides motivation and security. But what if a child has a learning disability or an attention-deficit disorder? For them, the exact opposite becomes true. As adults, we’ve all had jobs where we have become burnt out or frustrated with our bosses. While it is not an easy task, we do have the option to find employment elsewhere. Children, on the other hand, are stuck. They have no choice but to remain in school, regardless of how miserable the experience. If a child starts to struggle in school in the first grade, that struggle compounds with interest. They don’t have the option to reexamine their lives and make a career change. They are stuck in that situation for twelve years! Because children lack adult coping skills, there is a correlation between poor academic performance and disciplinary problems. A child who struggles with reading gets frustrated with their Language Arts class so they act out, because misery is terrible, especially when you are a child and you have no say in your situation. There is a phenomenon in psychology known as “learned helplessness,” which is basically when a person stops trying because they are convinced there is no solution to the problem. While it may not actually be true to say that there is no solution, learned helplessness is about perception, and our perception is our reality. If your child has reached this point, is it really surprising that they would fear school or even refuse to go? We all experience things differently. This is also true for trauma and explains why some soldiers come home from wars and resume normal lives while others suffer from post-traumatic stress disorder and never recover. Trauma is not so much about an event but rather our perception of it. Consider Hurricane Katrina, which devastated New Orleans in 2005. Social psychologists conducted research by interviewing local residents and what they discovered was remarkable. People who experience trauma (like, say, a hurricane or a school shooting) tend to fall into one of two categories. The first category is the Victim. People who are “victims” tend to see themselves as helpless victims of circumstance, unable to control the outcome of their lives. The second category is the Survivor. People who see themselves as “survivors” tend to draw strength from the experience. They recognize that a terrible event has befallen them, but they also know that they have control over what happens next. In short, victims perceive helplessness whereas survivors perceive strength. Does your child see themselves as a victim or a survivor? Bad things happen to victims. Survivors persevere. While our attitude is not a singular factor, how we perceive ourselves is critical to self-esteem, and self-esteem can be an Achilles heel for a child. Children can adopt the “victim mentality” as well, sometimes for very real reasons. Bullying is probably the best example of this. Bullies come in many forms. 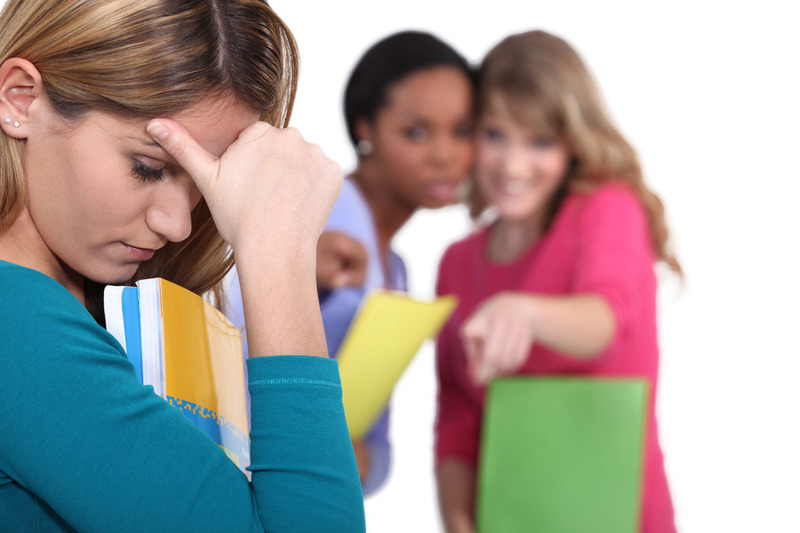 When we think of bullies we tend to think of kids bullying other kids, which is true, but some teachers, coaches and administrators are perfectly capable of adopting these roles as well. Educators are human beings and are thus subject to the same failings as the rest of us. They can play favorites, hold grudges and even flat out dislike certain children. This again goes back to the power of perception. If a child perceives that a teacher “is out to get them,” it might as well be true. And of course there is also the reality of “same age” bullies who may often threaten actual physical harm. These days, social media sites like Facebook and SnapChat have made it all too easy for bullies to terrorize and humiliate their peers. “Cyberbullying,” as it is called, is a phenomenon most parents never encountered, as it is a fairly new tactic for bullies. Parents who are not aware of their children’s interactions with and on social media sites will find themselves at a distinct disadvantage. Children are dealing with threats their parents never encountered (i.e., Cyberbullying) and doing so with limited cognitive and emotional resources. Adults can reflect upon childhood events through eyes tempered with wisdom and the passage of time, but children are dealing with these issues for the first time, with little insight and no perspective. For a child, a slight by a friend or a mean word from a teacher is nothing short of a calamity. 3. Social Anxiety and Phobias are real, too. In the clinical world, one of the ways in which a trait becomes a disorder is by its “clinically significant” behaviors. We all experience anxiety from time to time, but anxiety that impairs your ability to function is clinically significant. Anxiety and Panic Disorders have different classifications and diagnostic criteria; social anxiety and phobias can fall under these two categories, depending on severity and other key factors. The more common disorder, social anxiety, presents as marked fear or anxiety in social functions (e.g., school). One nervous instance does not a diagnosis make, so it is best to leave actual diagnosis to a trained professional. This goes for phobias as well, which are irrational fears that cause significant distress. The keyword there is “irrational.” If a child gets bullied every day at school, that is not a phobia. That’s a normal response. However, if a child has an irrational fear of anything, this is cause for concern. Phobias tend to have roots in actual trauma. In other words, phobias don’t just show up for no reason. People who suffer from phobias have usually either experienced or witnessed something traumatic, even if seems like is has little to do with the phobia itself. For parents, the key thing to understand here is that social anxiety disorder and panic disorder and phobic disorders are mental and/or medical health issues that do not respond to traditional parenting techniques or behavioral consequences. For some children, social anxiety is maddening and overpowering, and professional intervention is usually a must. Statistically, these types of disorders are not the likely culprit, but parents should be aware that in some cases children are legitimately terrified of school, and forcing them to go without offering them help is at best counterproductive. So what should a parent do if their child refuses to go to school? Here are some general suggestions to help you, the parent, make the decision that is best for your child. 1. Therapists are taught to believe everything that their client tells them and nothing that their client tells them. This is a good suggestion for parents as well. Listen to your children. Kids are often paranoid and prone to exaggeration, but listen to what they have to say. Ask questions. Use reflective listening skills. If your child says “I hate school!” say something like “So, I hear you saying that school is difficult and upsetting for you.” This may sound trite, but people love to be understood, and reflective listening lets them know that you both listen and understand. Often, kids just need to be heard. 2. Remember that adults and children think differently. Under the age of 12 or so, children have difficulty understanding abstract concepts like responsibility, ethics, or justice. Telling a 7 year old that they are screwing up their future is a waste of time. Instead, focus on solutions. If a child is nervous about social interactions at school, have them practice with you. Remember, your child is experiencing these issues for the first time and lacks your experience and perspective. 3. If your child tells you that a school official has physically touched them or made sexual advances, make a report to Child Protective Services. They can be reached through the local sheriff’s office. You can make a report to the school as well, but CPS is obligated by law to investigate. A school official might dismiss the accusation, whereas CPS will not. 4. If your child is truly struggling, consider finding a qualified play therapist in your area. Play therapy has an innocuous sounding name, but it is quite effective with children. The idea behind it is that children communicate through play, and therapists can use play as a therapeutic intervention to build self-esteem and self-confidence and get to the root of what is truly going on. In many cases, children are not actually aware as to the source of their anxiety. Play therapy can help bring these issues to light, and equip both parents and children with tools to use for emotional self-regulation. 5. In some cases, there is a medical component to maladaptive behaviors in children. Hyperthyroidism, for example, looks a lot like depression. Hyperactive children often really do have an actual issue with their brain chemistry. Often, it is beyond their control. A medical professional can determine this one way or the other. At the very least, it is wise to rule out any underlying medical causes for behaviors. Whatever the reason that your child won’t go to school, it’s very serious. Truancy charges are possible and obviously missing school will set your child back. Your child should be evaluated by a profession to determine what's actually going on. You have a legal right to request that your school district complete an evaluation or, in certain situations, allow you the opportunity to obtain an independent educational evaluation that the district funds. To learn more about your legal rights when it comes to requesting an independent evaluation, give us a call at 215-650-7563.